At Club Coffee, we build growth through coffee category leadership and sustainable innovation. We are brewing the good in coffee by creating a premium sustainable coffee experience that is better for you and better for the planet. 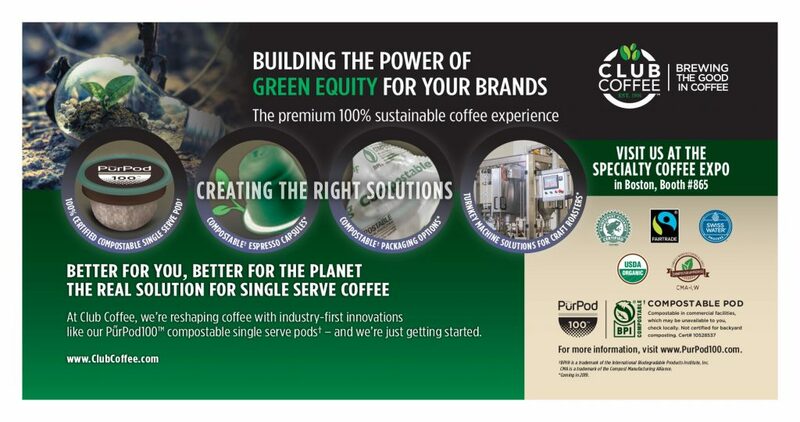 From our global-award winning PurPod100TM, the world’s first 100% Certified Compostable, to new compostable packaging options and turnkey packaging solutions for craft roasters – we’re reshaping the coffee industry with real solutions to single use plastics. To find out more, visit us at The Specialty Coffee Expo, April 11 – 14 at the Boston Convention & Exhibition Center.